Luxfer’s proprietary steel cylinder manufacturing process enables us to provide custom steel cylinders for a wide variety of specialized applications. 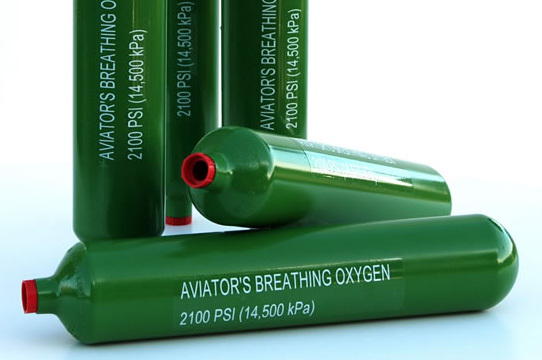 Using 4130 carbon steel, as well as other metals specified by our customers, Luxfer has manufactured steel cylinders for a large range of global markets and applications, including aviator breathing oxygen (ABO), commercial aviation cylinders, emergency escape breathing devices and fluid-accumulating shells. Luxfer manufactures steel cylinders from drawn sheet, tube or other customer-requested materials to meet the following regulatory standards: DOT-3A and -3AA, DOT-3HT, MIL-SPEC or other standards as requested.